Gene Marks on $15 minimum wage: Why is McDonald’s buying a bunch of tablets? Editor’s note: From time to time, Repairer Driven News features pieces by prolific national columnist Gene Marks. While despite not being directly related to collision repair, they should still prove valuable to the small-business owners and employees which make up much of the industry. Here’s a look at the $15/hour minimum wage, originally published in Fox Business. I was at a conference, discussing the impact of a $15-per-hour minimum wage on small businesses, particularly retailers and restaurants. Some businesses may be able to do that. But not most. But something else will also happen. These businesses, particularly the ones run by smart business owners, will figure out how to get more stuff done with less people. How? Ask McDonald’s. 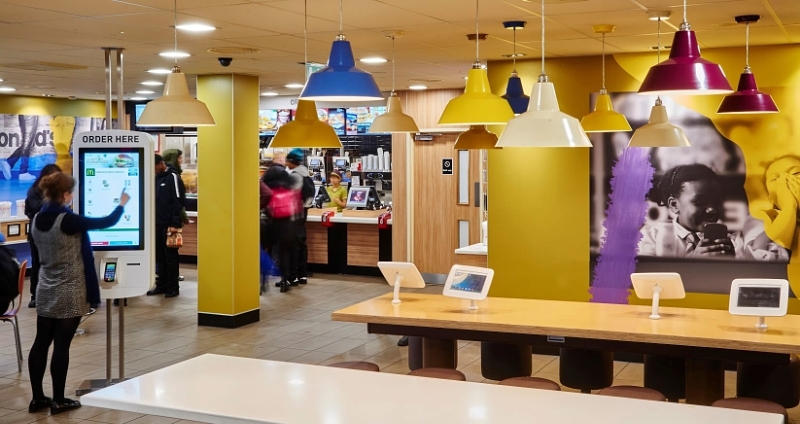 McDonald’s recently announced that it will be rolling out Samsung tablets at all of its locations across the United Kingdom in the coming months. According to this Verge report, which if you walk all the way back to the original stems from a PCR report, the tablets will be used for games and web browsing and not to order food. That’s because mobile devices are being deployed at a rapid pace by major restaurants and retail chains this year. And no one’s playing games. Just take a look around. Mobile point-of-sale maker Ziosk is installing its devices at thousands of Uno, Chili’s, Red Robin, Ruby Tuesday and Olive Garden locations around the country. Its main competitor, Elacarte counts Applebee’s and Johnny Rockets among its largest customers. Retailer Urban Outfitters has launched a program to implement mobile point of sale at all of its locations. Apple is already doing this. Revel, ShopKeep, Shopify, Ambur and Erply are just a few of the new and quickly growing industry of mobile point of sale software and devices providers. It’s all going mobile. And it’s all going self-service. McDonald’s may say publicly that these devices are for “gaming,” and maybe for the short term, that’s true. But you don’t think the smart executives at McDonald’s aren’t recognizing this trend? Of course they are. And so are their competitors. 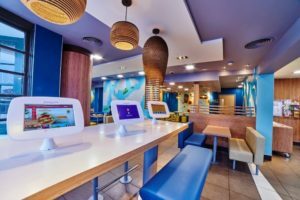 It’s only a matter of time before most fast food providers – from McDonald’s to Starbucks – implement a self-service process with customers punching in orders and making payments on a tablet. And if you run a shop or a restaurant, you’re going to need to do the same if you want to survive and grow over the next few years. The technology is now becoming commonplace. We’re seeing it already in supermarkets, drugstores, gas stations and airports. Millennials have grown up on this kind of technology, and those of us who are older have been quickly adapting. The software has become more uniform and user-friendly over the years and anyone with a smartphone or tablet of their own is familiar with using these devices. Cloud-based applications are easier and cheaper to deploy as Internet accessibility has grown and processing speeds have improved. And if you’re running a restaurant or a store, you’re in need of reducing your overhead. And your people are your biggest expense. You ask yourself: Why am I employing all these people? Why not give my customers the ability to make their choices on a menu and swipe their credit card? Have them fill up their coffee on their own or pick up their order from a window. Or better, order online or with a mobile app in advance and have everything ready for pickup like Starbucks and Cozi are already doing. More and more of us are using mobile payment software anyway. We want more convenience and if doing stuff ourselves gets us in and out faster, why not make it easier? 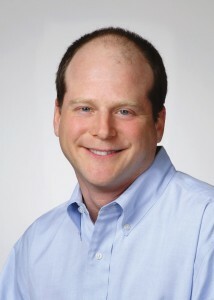 And why not take advantage of the other features these software applications provide – loyalty coupons, metrics and integration with marketing systems or social media services so that you can better measure your performance and offer a more personal experience to your customers that’s tailored to their favorite products? Of course, you’ll never completely eliminate people. You’ll always need some people in your shop to fulfill, make food or answer questions. But if you’ve got 10 employees, and you’re able to eliminate just one or two because of self-service technology driven by tablets, you’ve made a huge impact on your overhead. Particularly when minimum wages are doubling, overtime rules are changing, paid time off legislation is proliferating nationwide and the cost of healthcare is soaring. McDonald’s isn’t playing games. Not when the cost of employing people has risen so much. Smart employers are looking to technology to reduce their headcount and maintain their profits. This is not such great news for people looking for jobs. But it’s reality.